Few people realise that the Festival Plaza is part of the Adelaide Park Lands. The Plaza could easily and cheaply be returned to Park Lands. A design competition for this purpose was run in 2015, by the leader of the Greens Party in SA, the Hon. Mark Parnell. 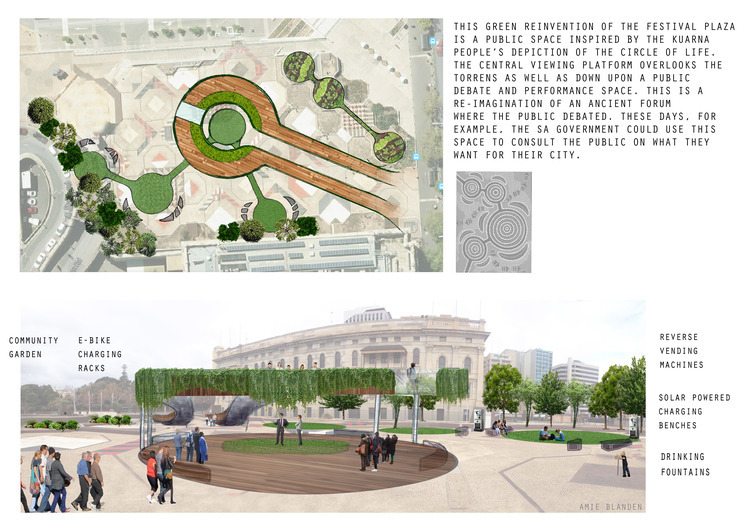 Design by Arnie Blanden - just one of the several winning designs in the competition hosted by Greens MLC Mark Parnell. 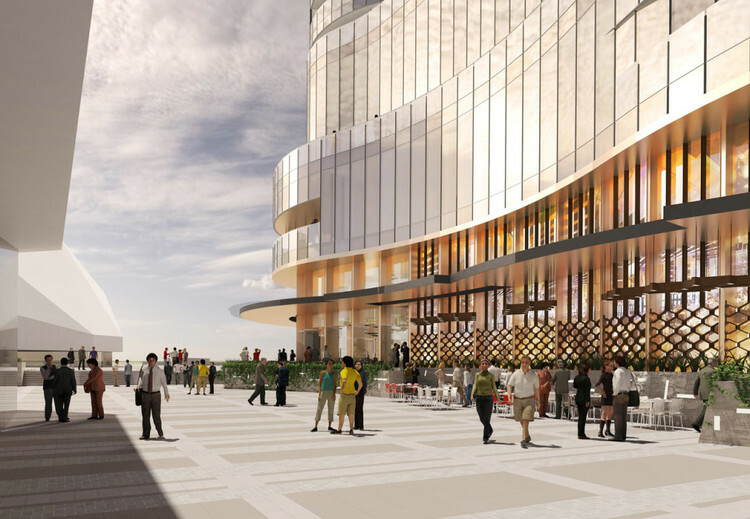 The former State Government ignored this Park Land-friendly, low-cost design and instead did multi-million dollar deals with the operators of the Adelaide Casino, and Melbourne-based Walker Corporation to erect a casino extension encroaching onto Elder Park. another high-rise tower block behind it (which has been omitted from the artist's impression below) & separate two-level food court plus store. In addition to losing great swathes of our public open space, taxpayers will be paying $180 million towards the cost. Does this look like Park Lands to you? What can you do? Realistically we doubt that this selloff can be stopped as contracts have been signed, and the Development Assessment Commission has approved the form of the building.